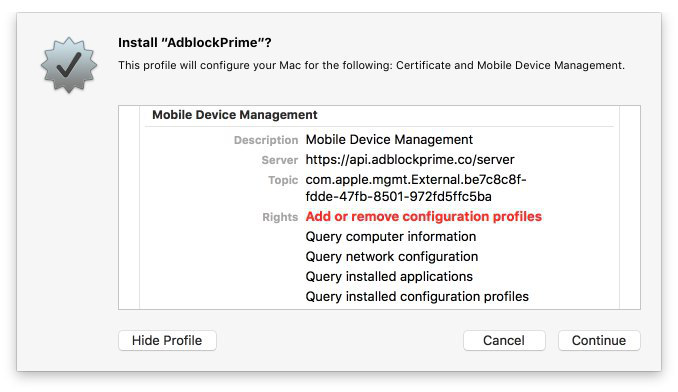 Shortly after Apple decided to ban legit systemwide ad blockers from the App Store, we at AdGuard stumbled upon an app called AdblockPrime, claiming to provide systemwide ad blocking for free. The app is advertised via Google AdSense, which means that money has been invested in its promotion. How is a free app supposed to pay off? install third-party apps and thereby profit from it. [Technical note] MDM is the administrative area of mobile devices (smartphones, tablets, and laptops). It deals with everything including deployment, security, monitoring, and management of mobile devices in the workplace. That makes it vulnerable to social engineering methods for intruding into users’ personal devices, giving someone else administrative rights. A closer examination of the MDM profile reveals that it unlocks significant privileges, letting the ‘software’ to intercept even encrypted traffic or to install third-party apps. We were alarmed at such brazenness. 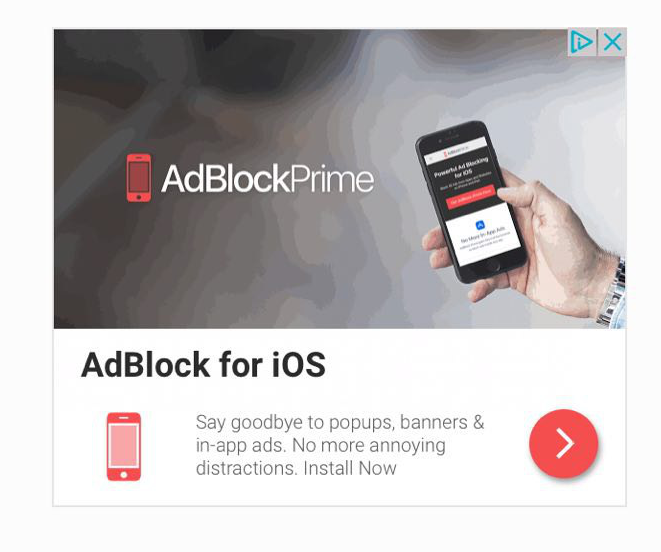 To sum up, this ad-blocker vendor is exploiting Apple iOS users’ privacy, collecting a lot of sensitive information. Users should be more attentive about what they find on the Internet, and especially about such websites or apps, which have no valid information or even an official page on the Apple AppStore. Apple’s customers generally feel secure enough within Apple’s ecosystem (including Safari and the AppStore), so they never expect to be hacked by intruders. Exploiting the MDM in this way, the owner of the website with the ‘ad blocker’ can potentially intercept the user’s traffic (including protected traffic via HTTPS) and install third-party apps on the user’s device as well. Do you want your iPhone or iPad to become someone’s app farm? It decreases the device’s battery lifetime, performance, and storage capacity, and even helps steal private data and financial information.